Deborah Hatton, professor of special education, emerita, died Sept. 4. She was 65. Hatton began her teaching career in the Henry County, Alabama school system. She went on to establish and direct the Governor Moorehead Preschool for the Blind in Raleigh, North Carolina, and its satellite campuses. She received her bachelor’s degree in secondary education from Auburn University and her master’s degree in visual disabilities from Florida State University. She received her doctorate in special education from the University of North Carolina at Chapel Hill, serving there as a senior scientist at the Franklin Porter Graham Child Development Institute. She spent 15 years directing research and outreach projects funded by the U.S. Department of Education and the National Institutes of Health. 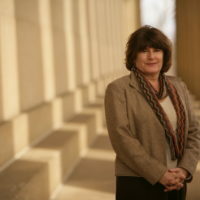 In 2009, Hatton came to Vanderbilt, where she was a tenured faculty member in the Department of Special Education at Vanderbilt’s Peabody College and director of the Program in Visual Disabilities. She served as the primary faculty member in the visual disabilities program and conducted research on instructional strategies for improving the outcomes of children and youth with visual disabilities. Her work resulted in several promising approaches for teaching braille reading to children and other instructional techniques. Hatton was a leader on the enrichment committee for the National Consortium for Leadership in Sensory Impairments, a national doctoral training program funded by the Office of Special Education Programs. In 2017, because of her dedication and efforts to improving the lives of individuals with disabilities, Hatton received the prestigious Distinguished Service Award from the Division on Visual Impairment and Deafblindness of the Council for Exceptional Children, the highest award presented by this organization. 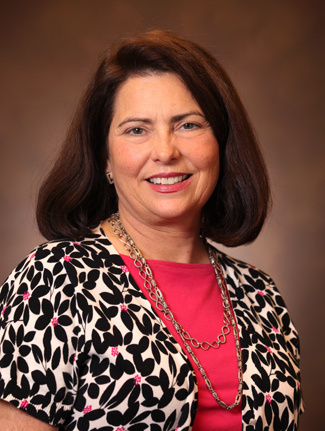 “Deborah was a dedicated faculty member who encouraged the students in her program to be their very best,” said Joseph H. Wehby, chair of the Department of Special Education at Peabody College. “She made a lasting contribution here, and I believe her legacy and influence in the field of visual disabilities will continue far into the future. Hatton is survived by her husband, Raymond Lynn Beck, of Franklin, Tennessee; a daughter, Heather Hatton-Key (Chris), of Ridge Spring, South Carolina; her parents, Lamar and Betty Cotton Dominey, of Abbeville, Alabama; a sister, Cindy Richards (Lonnie), of Eufaula, Alabama; a niece, Courtney Richards Geiger (Aaron); a nephew, Austin Richards; a great-niece, Emma Geiger; a great-nephew, Michael Geiger; and many loving cousins. She was preceded in death by her brother, David Dominey, and her niece, Kellie Richards Stepanek. Funeral services were held Sept. 8 in Abbeville, Alabama.